Adidas is vowing to overtake archrival Nike to win the No. 1 spot in the sportswear world by spending millions of euros on an ad campaign set to launch next year. Faced with falling shares after a profit warning last week, the company’s CEO reportedly vowed to raise the company’s marketing budget by €200m—eqivalent to $260 million—about the same margin of its reported operating profits in the second quarter, according to The Guardian. One of the candidates who may benefit from the Adidas marketing blitz is Toronto’s Sid Lee, who has done a campaign for the company before. Adidas has been running behind Nike despite record sales of its World Cup football products, which are expected to generate roughly $2.6 billion in sales. 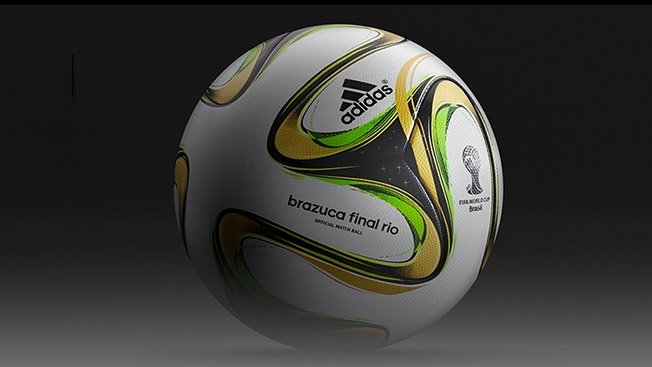 Already Adidas has sold a staggering 14 million "Brazuca" balls, the official World Cup game ball, and more than eight million replica football jerseys, spurred in part by Germany’s World Cup win. Adidas has also signed an exclusive 10-year contract with Manchester United to be the club’s shirts and gear sponsor for a reported minimum guarantee of $1.25 billion. The deal ends Nike’s 12-year partnership with the English football club. And, last month Adidas announced sponsorship agreements with four of NBA's top draft picks. Despite its robust performance on the world football stage and basketball court, Adidas is losing money on its golf apparel line, TaylorMade, where sales dropped by a reported 18 percent. The company’s golf equipment is also selling poorly in the U.S. Adidas CEO Herbert Hainer would not speculate on job cuts. Events in Russia are not helping the Adidas bottom line either. Russia is the company’s third largest market where it operates close to a thousand stores. But, the declining value of the ruble is shelving expansion plans there, and the Ukranian crisis is freezing shoppers in their tracks.